Suspense...what's next?? Not what you think! 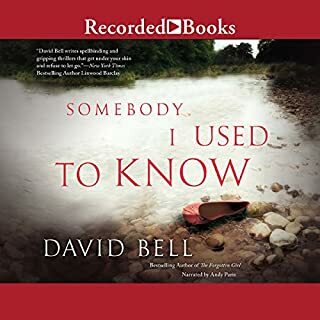 Would you consider the audio edition of Somebody I Used to Know to be better than the print version? The print might be okay, but I enjoyed listening to Nick think things out in his head and the narration was pleasing to listen to. My favorite was Nick, but I also liked Detective Reese...he sounded "crusty"....a real cop. When Nick "got" Heather after all those years! It's like Grisham meets Harry Bosch! So many surprises....never saw some of them coming. Wow! It's a great read! 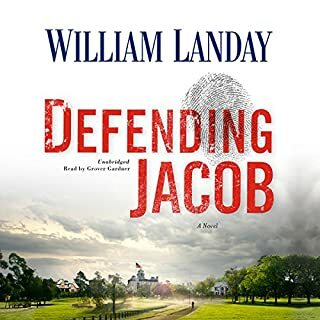 Where does Defending Jacob rank among all the audiobooks you’ve listened to so far? It was one of the better reads I've had in the 160 or so that I've had. But the ending was really in the top 10 of surprise conclusions to a story that I've had. All the way through a story we all go back and forth trying to figure things out in a mystery. I never saw this coming and I won't leak a spoiler here for anyone. I wasn't particularly pleased with the ending....but it's not about me. It's about the thrill of the listen. And it was that. My favorite character was Andy. He was so torn, he ended up giving up so much in his life, and in the end really gave up more than he thought he ever could've dreamed. He was so brave and went out on so many "limbs" and was very smart. I really felt for him, his struggles. Mr. Gardner was like a real guy...someone any of us would know and carry on a conversation with...easy going manner of speaking, could easily invoke anger and desperation into his voice. His voice is pleasing to listen to. If you could rename Defending Jacob, what would you call it? This book is not what it appears to be at the outset. There is much more to this and it's not at all predictable. I really liked it a lot and finished it in 2 days. Yes, I would. It's not just a love story, anything but love. It's about survival and triumph. 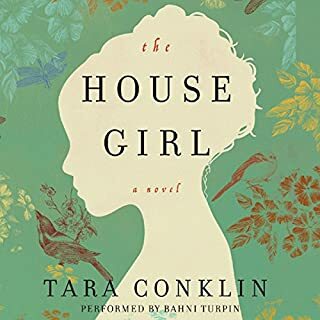 I loved how the author opened the thought processes of these women as they moved through such a painful time and out the other side. I don't know if I could've been so strong. I enjoyed listening to how they handled all of the different situations as they arose....and thier childrens' concerns also. What about Amy Quint’s performance did you like? She just put so much depth into these characters....crying, laughing, whatever was called for, Amy was there and so the visual was there too. Loved it. Anger! I hated Maggie! I could've shaken that woman to her core! That is, until reality grabbed ahold of her and then I didn't have to touch her. Then I fell in love with the woman. She then turned into my favorite in the book. What a sweetheart. 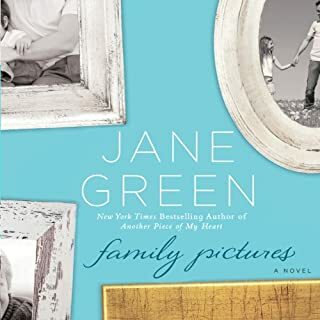 This is not a feel good book, it's a wake-up book. I thoroughly enjoyed it! 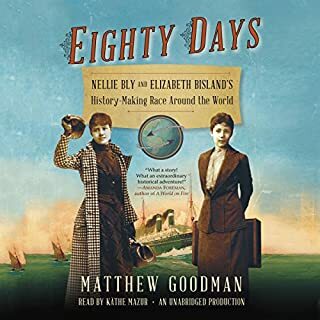 On November 14, 1889, Nellie Bly, the crusading young female reporter for Joseph Pulitzer’s World newspaper, left New York City by steamship on a quest to break the record for the fastest trip around the world. Also departing from New York that day - and heading in the opposite direction by train - was a young journalist from The Cosmopolitan magazine, Elizabeth Bisland. Each woman was determined to outdo Jules Verne’s fictional hero Phileas Fogg and circle the globe in less than eighty days. 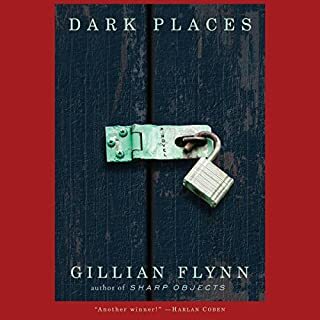 Would you try another book from Gillian Flynn and/or the narrators? I did read Gone Girl and loved it! But this was painful to read. If you could play editor, what scene or scenes would you have cut from Dark Places? All the scenes were gory, that was the book. I only completed it because I wanted to know who dunnit. I would not recommend this except to someone who enjoys the macabre. So enjoyable, you won't be sorry! 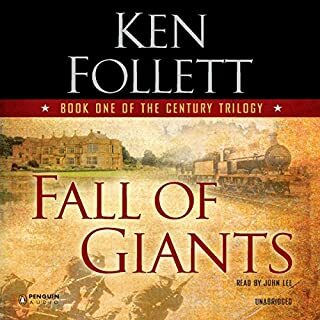 What did you love best about Fall of Giants? I was skeptical how the author could encompass the scope of subject manner in this book. But he did, and very well! I learned to love the characters, most of them, despised some of them, and learned so much of early England, Germany and Russia. I just could lose myself in that book, close my eyes and imagine everything in detail. Mr Follett is so great in providing that. I am almost finished with the 2nd of the Trilogy (Winter of The World), which continues the story of Fall of Giants. I love this also just as well. 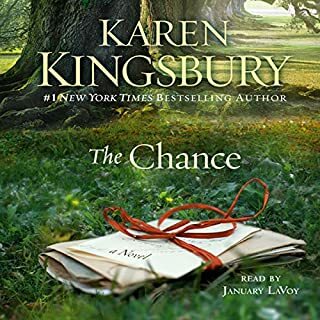 Last year I listened to A Dangerous Fortune by Mr Follett and loved that also. He is very good at recreating so many different characters and accents. This trilogy involves several nationalities and he's able to go from one to another...also male/female without disturbing the listeners' ear. I was pleasantly surprised. No. I needed to take the time to let the information "settle" in my mind. There is a lot of history that I needed to grasp, which was fine and I enjoyed that. In listening to this, I learned two things. One) I am so very lucky that I live in America, born in 1948 and didn't have to suffer the things that ones before me did. Two) I've never lived with a war on my soil with bombers overhead, waiting for the blitz, blackouts, trenches, rations, all those things. I am really looking at life differently now. I'm 65 and my life is very good compared to life in Fall of Giants. And when I was in high school, I hated history class. I've learned more from Mr. Folletts' book about that time period than I ever did in school. Thank you very much! If you could sum up The Secret Keeper in three words, what would they be? Vivian...she turned out to be so caring and loving. Not what I had thought at first and then I loved her. I wanted to sit at her bedside with Laurel at the end. The very, very best! I kept thinking how different this story would be to read it rather than hear it. That was one of the best things. Now I'm going to seek out the other books that she and Ms Morton have collaborated on. 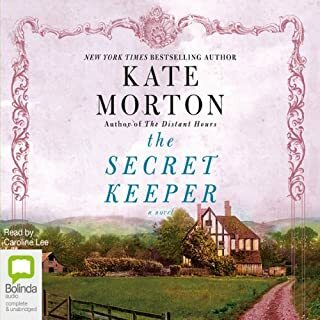 If you could take any character from The Secret Keeper out to dinner, who would it be and why? It would be Jimmy. Such a caring man, gentle and willing to talk about most anything. I don't think he had a mean bone in his body. I love hearing about the things in that time period, the 1940's, the war, the way people had to cope, etc. And ofcourse this was England, things there are different from America anyway. When I finished the story, I kept going back over the last 2-3 chapters because I couldn't belive it ended that way! It wasn't a bad way, I was surprised so that was good! 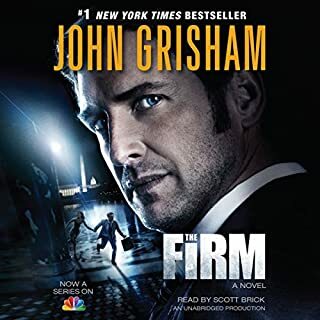 What did you love best about The Firm? I kept thinking, "Oh no, watch out for that guy you can't trust him"..."It's no good, Mitch, you're smarter than that...no, no!" I was with him all the way! I loved Mitchs' creativity! No wonder he was 5th in his graduating class! I loved how he handled Them. And he was cool in every sense of the word. That was the only part I didn't care for about the story. He tried to be so slick and he came off sounding "smarmey". His accents were all off. Sorry, couldn't do it in '3 words'. When Abbey confronted the Fibbie on the bus and relayed to him so much info about the operation.....he was confounded that she knew so much and wasn't even aware of who she was. And then when she told him just how many files they had copied ...... Wow! He was amazed. He knew he wasn't dealing with just any lawyer. Once I knew this Bendino Law Firm had thier hooks into Mitch, I couldn't put my mp3 down. I had watched the Firm on tv last year, so I had him in my mind.......mmmmm.